KeyScan Key Fobs - Cheapest Fob Copying Service in Vancouver. We copy 86 different types of key fobs. 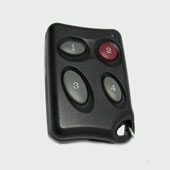 Do you need pre-programmed keyscan fobs? KeyScan has stopped production of their ELVUTOA fobs. It is next to impossible to purchase new keyscan fobs and stratas are forced to update to the new system to get new key fobs. 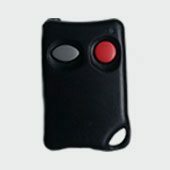 We are a local company that is able to supply key scan compatible key fobs. Q. Will the key fobs look the same? A. No they will look slightly different. Q. Will the steps to programming the fob into the system be the same? A. Yes they will function exactly like the original fob. Q. Will it open the garage door and the normal tap scanners? A. Yes, they will work in exactly the same way as the original. A. We require a MOQ of 30 pieces. We can provide a one time sample with no MOQ. A. Please call for pricing. Our price per piece is between $35 and $50. Q. How long will it take to deliver? A. A sample can be delivered to you within 2 business days. Smaller orders can usually be filled with stock on hand. Larger orders may take up to 3 weeks. Q. Does it work for garage and regular doors? A. Yes it will work for both.